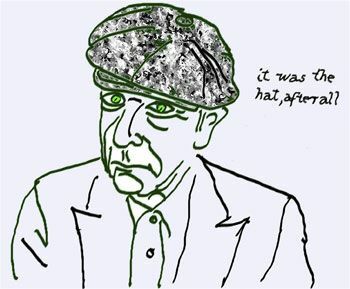 it was the hat by Leonard Cohen. 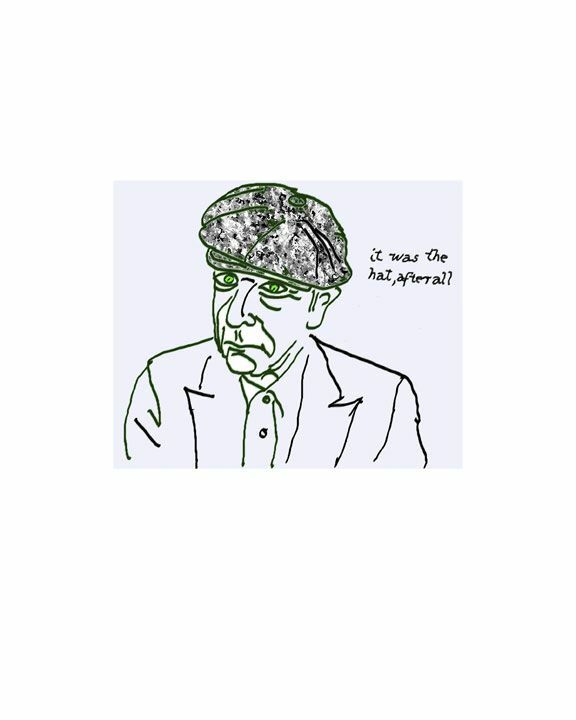 Text reads "it was the hat, after all"
Paper Size 12x15 Inches. The actual image is smaller than the paper centred with a white border created by the paper.